It appears our society is in denial about the root cause of the mass murders committed in recent weeks at a church in Nashville, a country music concert in Las Vegas, and yesterday, at the First Baptist Church in Sutherland Springs, TX. Some like to think that incidents such as the church shooting yesterday morning outside of San Antonio that claimed the lives of 26 men, women and children who left their homes intending to honor and worship God are the result of insufficient gun control laws. The man responsible for yesterday’s atrocity in Texas should have been legally prohibited from purchasing a gun after having served time in a military prison following a court martial for domestic violence for assaulting his first wife and their child, and had been denied a concealed carry permit by the state. Why anyone would think that someone who ignored the laws against murder and killed 26 people would pay any attention to restrictions upon purchasing guns is beyond me. Others suggest that mental illness must be responsible for the type of event that occurred at the small Baptist church in Texas yesterday. If we could develop some sort of test that would help determine who among us might become violent, increase access to mental health services or develop better treatments for persons at risk of becoming aggressive, incidents such as yesterday’s shooting would become less and less frequent. The common thread between those two positions is the need to believe that we can somehow reestablish a sense of being able to control the expression of random and apparently senseless acts of violence perpetrated against innocent victims and restore our fragile sense of safety when we venture out into public…to work, to go to a concert, or to attend a worship service. Both positions also minimize or avoid the need to acknowledge an unpleasant truth that most people on both sides of America’s great cultural and political divide would like to ignore. EVIL is the root cause of the mass shooting in Las Vegas, and the shootings in churches in rural Texas, Nashville, and several years ago, at an historically African-American church in Charleston, South Carolina. As a society, we seek to minimize the existence of evil because recognition of evil threatens our shared delusion that any absolute standard of right and wrong exists. We want to be masters of our own universe and to decide for ourselves what is right and what is true. To acknowledge that some clear standard for right or wrong conduct exists requires us to recognize that a source for such a standard exists outside of ourselves…and acknowledge the Creator of the universe who established the standards! What makes me most angry about the words and actions of our leaders in the aftermath of incidents such as the massacre in Texas is the perpetuation of stigma by attributing hateful and violent actions to the presence of mental illness. They cause people to needlessly fear friends, neighbors and family members who are among the fifty million Americans with an identified mental health condition. We have absolutely no reason to believe that the shooter in Texas had been diagnosed or treated for any mental health condition, or reason to believe that he met criteria for any condition other than sociopathy - a condition not amenable to mental health treatment. Yet our need for a scapegoat causes many of our leaders or others in a position of influence to blame mental illness for deliberate and purposeful actions rooted in evil. 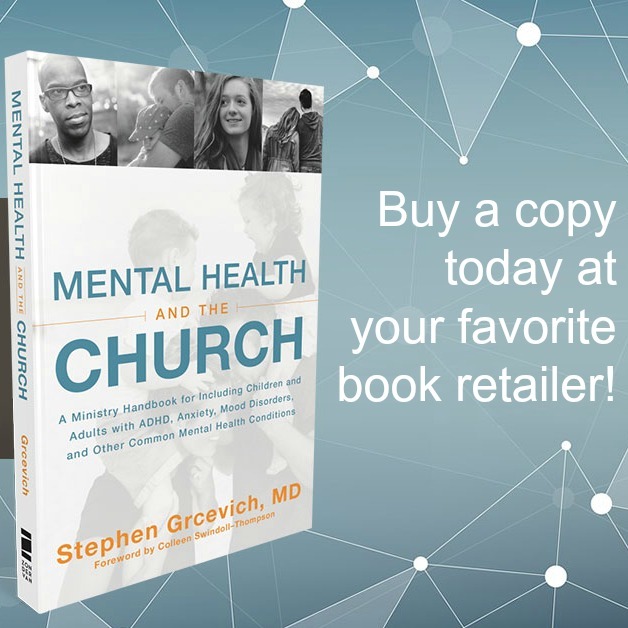 Think of it this way…does attributing crimes such as the one committed yesterday at a little church in Sutherland Springs, TX to mental illness make it more or less likely that other churches will embrace the need to welcome persons with mental illness into their worship services and fellowship activities? And if as a result of blaming mass murder on mental illness persons with mental illness are less likely to be welcomed into local churches, whose agenda is advanced? God’s or the enemy’s? The gunman in South Texas didn’t have a mental health problem…he had a spiritual problem! As did the gunman in Las Vegas. And Dylan Roof…the young man convicted and sentenced to death for the murder nine members of Charleston’s Emanuel AME church two years ago. While each of them might be thought of has having a “debased mind,” the Bible teaches the condition of their minds (and souls) has a cause other than mental illness. Newer PostJoin Key Ministry at Evangelicals for Life and the 2018 March for Life!